The Ursini family's origins are from the land that surrounds the beautiful San Giovanni in Venere Abbey of Fossacesia, where the countryside is looked after by the proud and attentive local farmers. 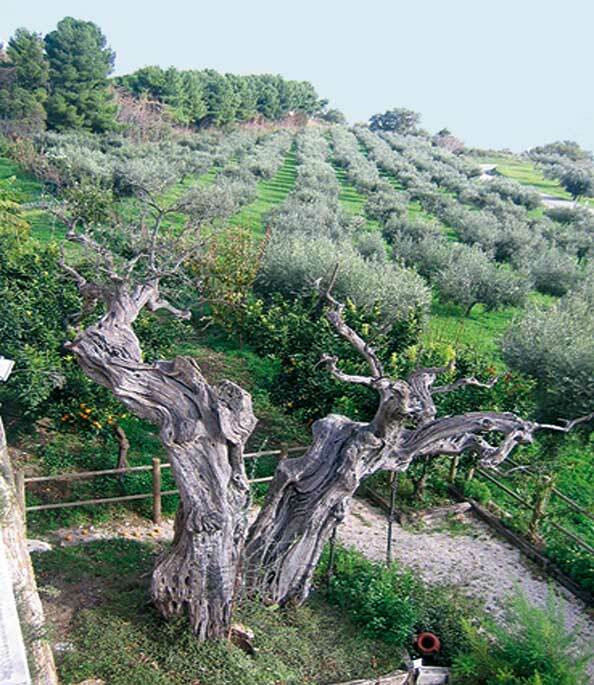 In fact, the oldest olive oil tree in the Abruzzo Region is a two thousand year old tree that sits at the entrance to the Abbey of San Giovanni in Venere. This tree is the oldest varietal of its kind in the Abruzzo Region. Today it remains a symbol of the love and respect the Ursini families have for its noble fruit. Thanks to the latest technological advancements, Ursini is able to retain the highest organoleptic properties from its olives by not allowing them to be exposed to oxygen (which breaks down its health benefits) while they are being pressed. Avoiding any contact with oxygen during the working process, also results in a superior, delicate and fragrant taste. Delicate in fragrance and taste, soft and velvety - Ursini Extra Virgin Olive Oil has a unique character, born from a deep-rooted dedication to this fruit. Giuseppe 'PEPPE' Ursini has always had a thirst for knowledge and premium products, he wants to continue to surprise and add even more life to the “Solo” Extra Virgin Olive Oil line. 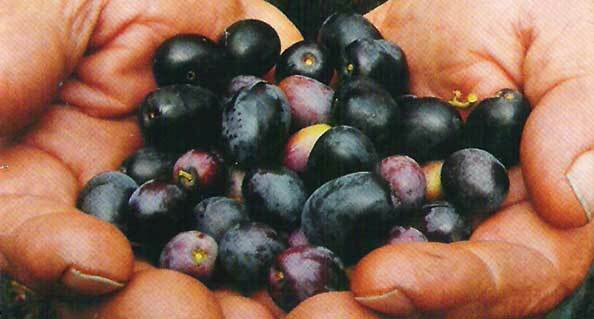 Unique because their unmistakable taste, unique because of the single variety of olives used; harvested with the utmost care and meticulously separated at the source depending on origin. 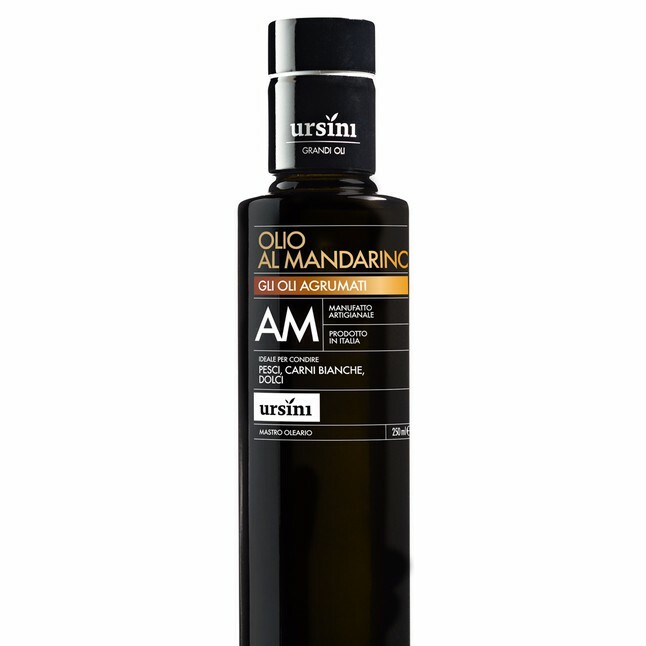 Ursini’s range of flavored oils, inspired by the Frentania d’Abruzzo, are linked to the traditional uses of the area. The taste is unbelievable; the olives and the fruit are pressed together and the resulting Olive Oil produces a unique flavor unto its own, different to anything you have previously tasted. 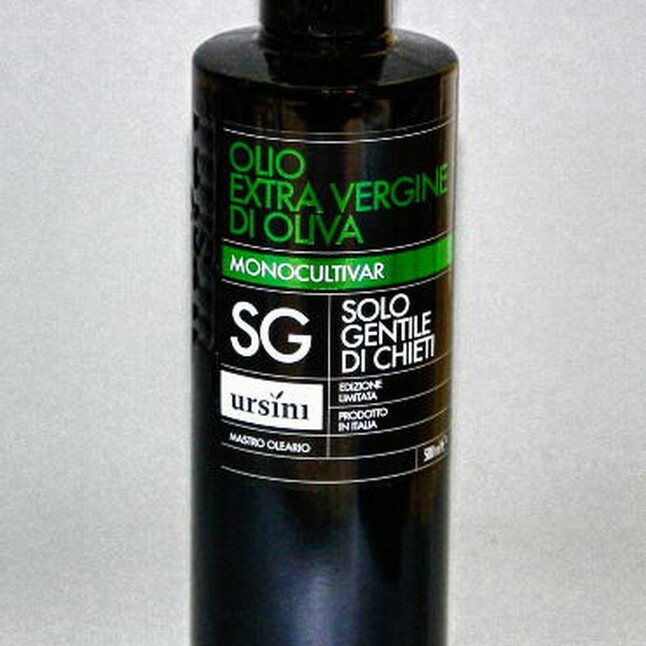 The Ursini’s family's specializes in the finest Extra-Virgin Olive Oil. 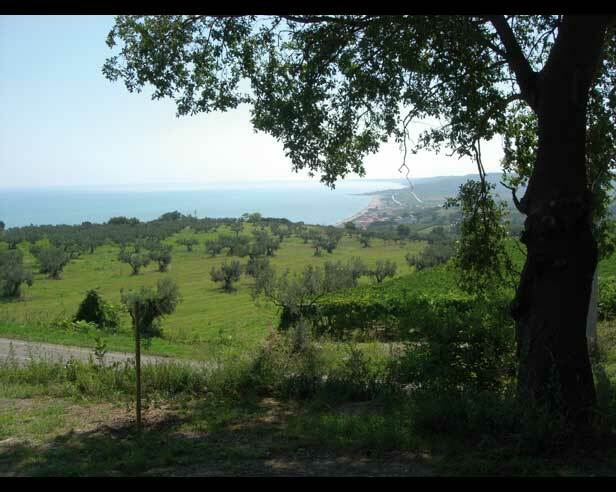 Olives are grown in Abruzzo - on uncontaminated lands - this region has made environmental protection its mission. The unique "Micro-climate" in this area carries and holds the fragrances and flavors of the Mediterranean and Adriatic Sea, preserved by the timeless wisdom of centuries-old Italian tradition. Olive Varieties: Gentile Di Chieti, Dritta , Toccolana, Tenera Ascolana. 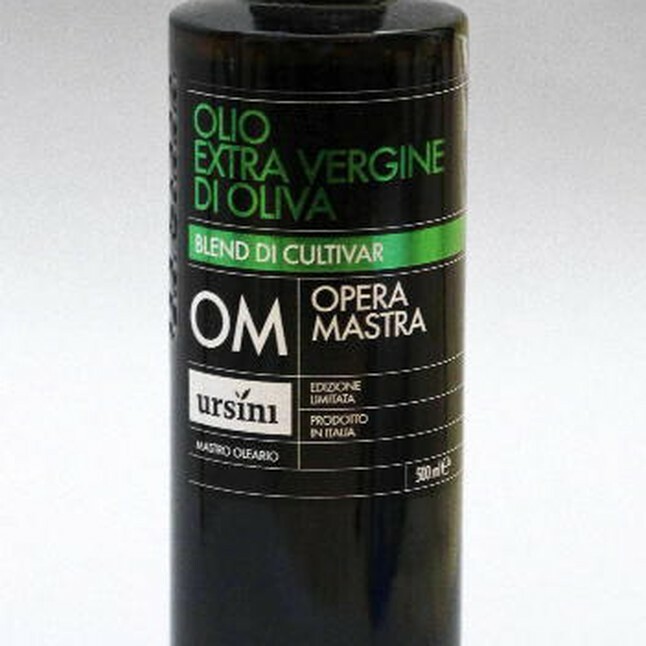 Impressions : You will want to carry a bottle of this oil with you when you are dining out - it's that good (Opera Mastra literally means Master Piece) You will smell the sweet green grass, hay, basil and culinary herbs with a bold peppery finish. Careful monitoring of the olives maturation lifecycle allows us to choose the best harvesting and pressing time for this bold blend to come alive. Drizzle it on prosciutto and melon, fresh mozzarella and bruschetta. Hearty minestrone soups, grilled and roasted vegetables. Finally the ultimate compliment: use it in your homemade tomato sauce - it will be your secret! Olive Varieties: Gentile Di Chieti. Impressions: This oil straddles the line between savory and sweet. 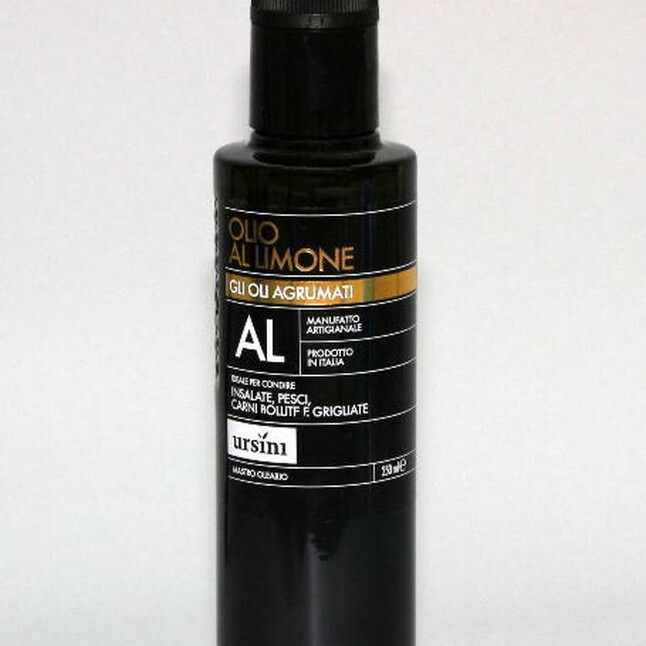 It is well balanced with subtle notes wild grass and herbs, finishing with a mild fresh almond-citrus ending. Hay grass is traditionally planted between olive trees (the hay feeds the donkeys that carry this precious fruit back to our mill) in Abruzzo and this sensation is gently pronounced on one's palate. Our family recommends pairing this with your own hand made pasta. Another excellent compliment is on roasted game or poultry. Braised or grilled meat will be accentuated by Solo. The final "coup de gras" is to drizzle it on aged cheeses. This particular blend will compliment almost any spring or summer dish, from fish to salad. Our favorite - we use it when baking cakes/cookies in place of butter to add that zesty note - your guests will constantly be asking you "what is in this cake?". "We would never do it any other way!" Peppe Ursini. Compliment your autumn game dishes or grilled fish by drizzling this well mixed blend before Thanksgiving field greens salad would be a perfect way to keep your guests guessing.